If your child is over the age of 4, we ask that you allow them to accompany our staff through the dental experience. We are all highly experienced in helping children overcome anxiety, however we respect your decision to accompany your child through the dental process. 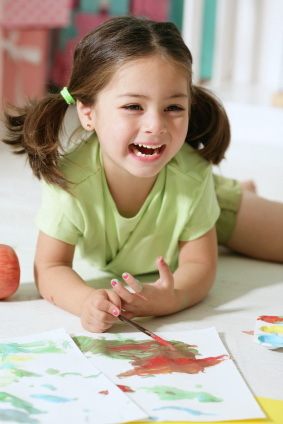 Our goals include providing the highest quality of care and developing a positive relationship with you and your child. Sedating your child may be needed depending on the amount of treatment required and the anxiety level of your child. The sedation options range from nitrous oxide and conscious sedation administered in our office, to general anesthesia administered at a local hospital. Dr. Graye and Dr. Maria are highly trained and certified pediatric dentists who follow the sedation guidelines of the American Academy of Pediatric Dentistry. They both hold a certification in oral conscious sedation, as well as Basic and Pediatric Advanced Life Support.